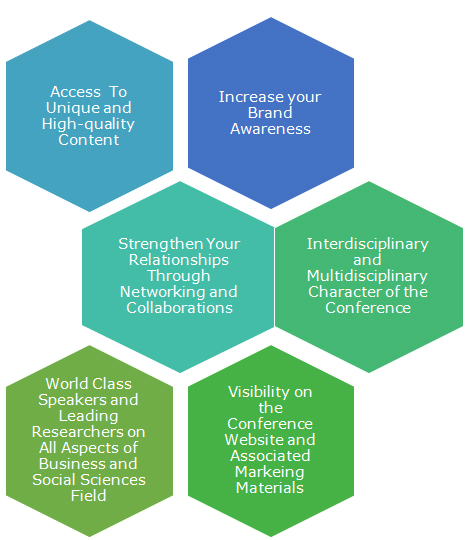 Featuring a variety of sponsorship and exhibition packages designed to maximize your organisation's visibility, the 4thGlobal Conference on Business and Social Sciences sponsorship and exhibition Program provides even more ways to stand out from the crowd and make the most of your budget. Choose from the following high-visibility sponsorship and exhibition packages, or contact GCBSS committee info@gcbss.org rasul@gatrenterprise.com / Telephone:+603 2117 5006 about customizing a package to fit your needs. The Global Academy of Training & Research (GATR) in collaboration with the National and International Universities and Publishers such as Elsevier (UK), Inderscience (Switzerland), UPM Press (Malaysia) ,Kalasalingam University, (India), APIDM (Australia and University of Brawijaya (Indonesia) is organizing the 4th Global Conference on Business and Social Sciences (GCBSS) in Dubai, UAE.